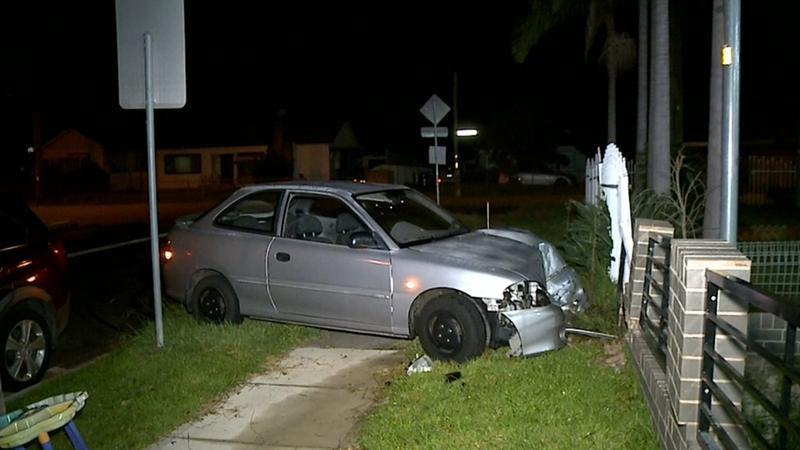 Two teenage girls have been arrested by police after allegedly driving a stolen vehicle into the front yard of a western Sydney home. Police were called to a property on Harris Street in Guildford just before 11pm after a silver hatchback allegedly driven by a 15-year-old girl smashed into the home’s front fence. Following the crash the driver, and her 15-year-old passenger, got out of the car and ran but were detained by a nearby resident on Lucas Street. Initial inquiries by police showed the vehicle was stolen in late January from an address in Smithfield. NSW ambulance paramedics attended the location, and treated both girls for cuts and abrasions suffered during the crash. Both were taken to The Children’s Hospital in Westmead for treatment. Officers from Cumberland Police Area Command established the identity of the girls and released them pending further inquiries.